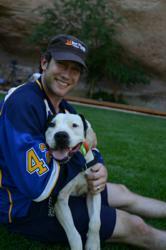 Rescued animals inspire St. Louis Blues Captain David Backes at nation's largest no-kill animal sanctuary operated by Best Friends Animal Society http://bestfriends.org. The only way to save the lives of the millions of animals in shelters is to focus on the big picture, to fix the problems of why animals are going into the shelters. 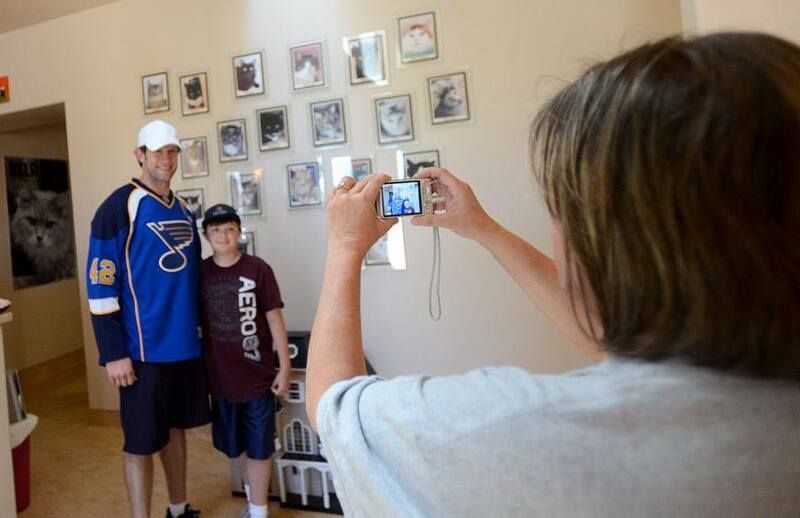 David Backes, captain of the St. Louis Blues and his wife, Kelly, who visited the nation’s largest no kill animal sanctuary this week, says their visit has inspired them to “dream big” in their own efforts to help homeless pets. The Backes not only toured the sanctuary, but helped with the day to day chores of taking care of some of the 1,700 dogs, cats, horses and other animals that find refuge at Best Friends on any given day. They played with kittens -- which is an important part of helping the frisky felines become socialized and more adoptable. They walked a special needs older dog recovering from surgery and helped with the chores at one of the dog buildings. To become a fan of Best Friends Animal Society on Facebook go to: http://www.facebook.com/bestfriendsanimalsociety. 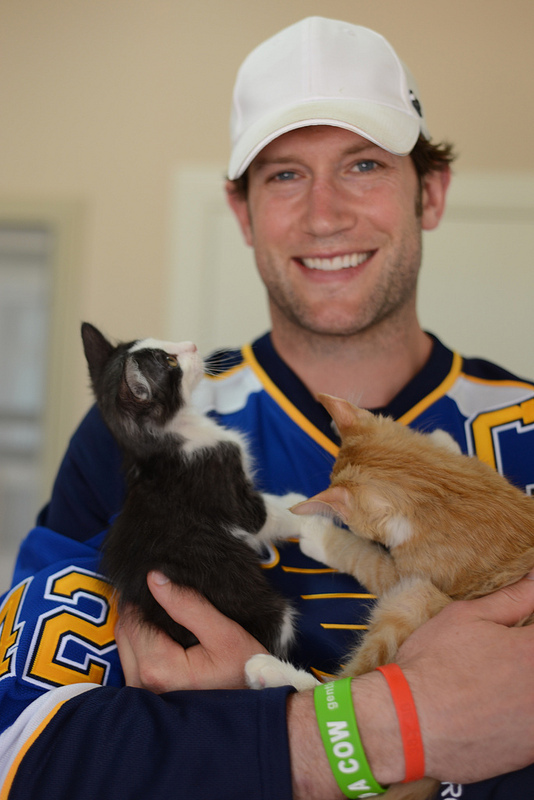 NHL star David Backes and wife Kelly Backes play with kittens at Best Friends Animal Sanctuary Kelly and David Backes, captain of St. Louis Blues, with dogs at Best Friends Animal Sanctuary NHL star David Backes with kittens at Best Friends Animal Sanctuary NHL star David Backes surprises St. Louis Blues fans Lisa Adcock and her son, Jeff.